The "Suburbia Series" examines what is visually ignored or overlooked as homogeneous suburban growth spreads everywhere. Will the artificial landscaping around shopping malls, gas stations and housing developments become our accepted notion of landscape? 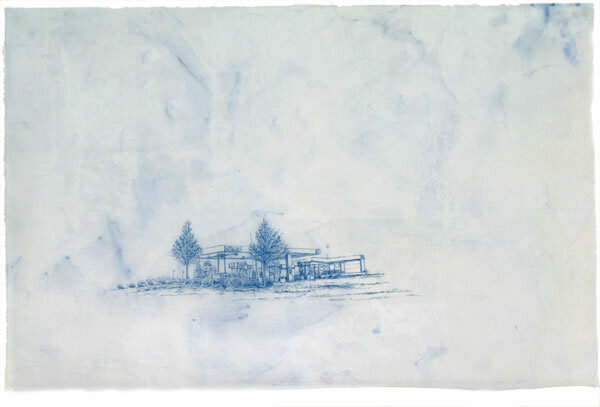 These works on paper resemble blueprints, mapping what we see and what we don’t in our daily/personal landscapes; what we remember or experience as opposed to what is really there. These drawings function the way a memory works, distorted and distant, yet colored by emotion.